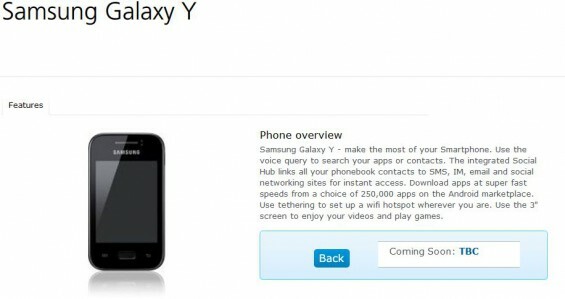 The new Samsung Galaxy Y is now also set to arrive on O2 in addition to Vodafone. This particular unit has been “Exclusively designed for O2” and is a bit of an entry level device if we’re honest. Specs include Android 2.3, a 240×320 (QVGA) 3″ capacitive screen, GPS, microSD expansion, Bluetooth 3.0, WiFi, a 2 megapixel unit and 1200mAh battery.